Ticket King Milwaukee Wisconsin: Ticket King Milwaukee Has Great Seats for Admirals Games! Ticket King Milwaukee Has Great Seats for Admirals Games! Did you know that Ticket King has front row on the glass tickets to almost every Admirals Hockey home game? Not many people know that, so I wanted to put it out there for all of the Milwaukee Admirals Hockey fans! 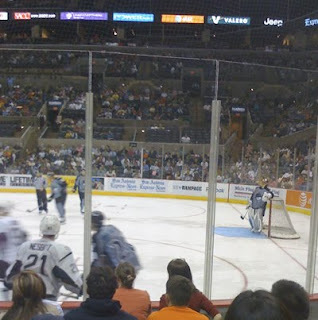 If you haven't ever been to an Admirals game, once you sit in these seats, you wont want to sit anywhere else! The next game coming up is this Friday, February 19th, against the Houston Aeros at the Bradley Center. I myself, have never been a huge hockey fan, but seeing how we have these great seats at a reasonable cost, I'm thinking I have to go soon!